3 Bedroom End of Terrace House For Sale in Sheffield for Guide Price £95,000. 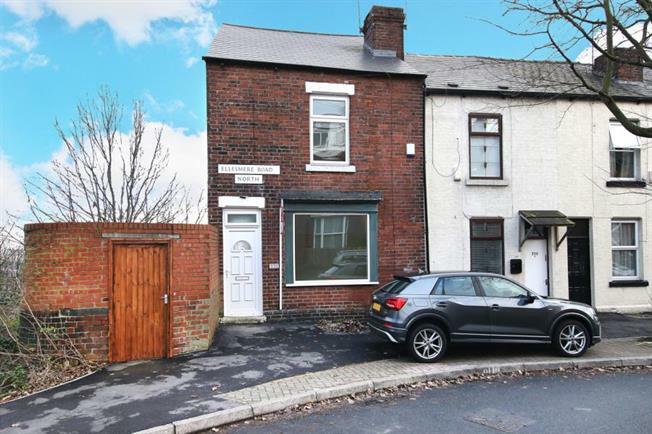 Having undergone complete renovation from start to finish is this three bedroomed end of terraced house. The property needs to be viewed to appreciate the amount of work that has been involved. Offering new windows and doors, complete replaster throughout with electrics, modern kitchen and bathroom with all new floor coverings. The tasteful decoration may suit a young couple looking to get on the property ladder or an investor. The area achieves good rental return and this ready to go. The accommodation comprises, lounge, dining kitchen, three bedrooms, one being the attic bedroom, bathroom. Outside courtyard to the side and rear. Located close to local shops and bus services. All viewings via the agent.